Looking to find your best safety shoes? 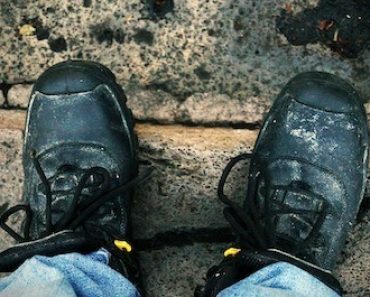 In terms of workplace safety, you don’t necessarily need to look for one of the best work boots available on the market. If it’s not mandatory in your working environment, a pair of best lightweight safety trainers or safety shoes might just serve the same purpose. After all, comfort is one of the top priorities, especially if you have to wear them for long. A pair of safety shoes is a necessity in many managerial and office based occupations where wearing safety footwear is part of your responsibility. Executive safety shoes are a great choice that you can wear whilst working in the office, in the warehouse or when you’re planning a visit out on the construction site. The classic styling and smart appearance of these safety shoes make them ideal for wearing with business attire or uniform. Another great pair by Caterpillar, one of the leading brands in the footwear industry, well known for their quality and durability. These safety shoes are made of a high quality leather and their rugged and solidly molded rubber sole has a heat resistance of 300⁰C, a 100⁰ above what most safety shoes can bear. The SRX Micro Cleat patterned under sole gives an excellent grip while you are on the move and the molded EVA midsole is lightweight and built for comfort. The lining is made of meshed textile material while the removable EVA footbed is ERGO cushioned to keep your feet fresh and relaxed. This pair of CAT safety shoe is constructed for durability as you can hardly miss the strong stitching used on the upper side, while the thick and long lasting soles make it a robust and sturdy work shoe. 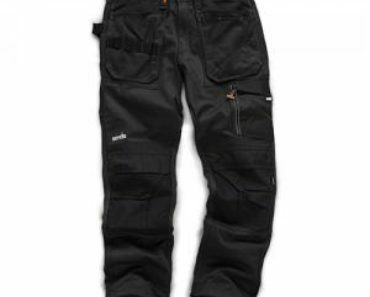 It is smart enough to be worn for meetings and sturdy enough to wear even on the roughest day on site. Typical for the Caterpillar boots – their break in period. At first, you’ll find them a bit stiff and uncomfortable. The good news is that once you get past the break in period, most of their boots are ultra comfortable. And considering that CAT is well known for its durability, getting a years wear pretty much comes as standard. 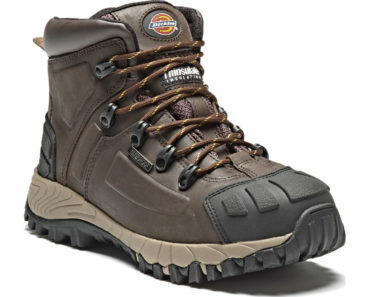 They are probably the best safety shoes with steel toe cap money can buy, therefore, most expensive pair of our list. If you find yourself on a budget, take a look at some of the other options available. Talking about style, the City Knights Men’s safety shoes are stylish and is a safe bet in terms of durability and quality (for its price range) while it delivers to the last of its capacity. They are built with a genuine leather upper with a removable innersole; moisture wicking inner lining and a meshed, soft padded collar for ankle support and comfort. 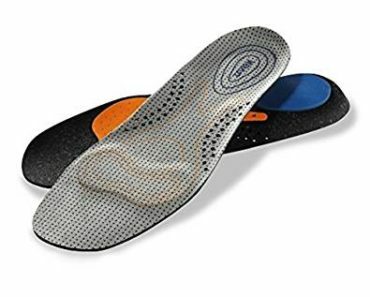 The midsole are composite and non-metallic, while its outsole is made of dual density polyurethane and are slip resistant and anti-static for adequate safety. The safety shoes are steel toe capped, with sufficient toe protection from external impacts. These City Knight pairs are also lightweight and flexible. They fit perfectly and are so comfortable that you can wear them around the whole day without any numb feeling. The only inconvenience I can think about is their break in period, but once you get past that phase, you are good to know. It is one of best-reviewed steel toe cap safety shoes so, therefore, a well deserved place in our list. One of the latest budget-friendly Amblers Steel branded safety shoes; the FS44 is a smart and safe brogue shoe that I consider right for uniform use. Built with a dual density Thermoplastic Urethane sole; it provides a slip resistance feature. Resistant to heat and oils, solvents, alkalis and acids, which makes them quite flexible when it comes to different working environments. The steel midsole gives substantial protection against up to 1100newton of penetration; the heels are also high energy absorbing while its steel toe cap offers protection against 200joules of impact which is why it is one of the best steel toe shoes. The steel toe cap and steel midsole offers you the protection you need and the heel’s energy absorbing feature makes them a highly comfortable pair of safety shoes. The lace up fastened safety shoes has 4-perforated eyelet lace up front to give a snug fit when worn. The outer material of the shoe is made of smooth leather, while the inner lining is made of synthetic or textile material. The ankle collar is also padded for support and comfort. 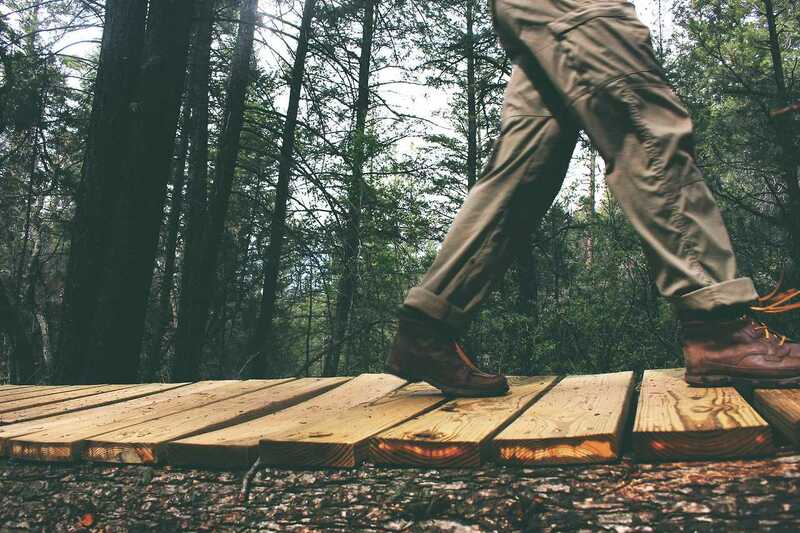 This is what earned the FS44 a ranking among the best safety shoes you can use, and it’s one of the reasons it has a 4.4-star rating among customers who have tested and proven its quality. 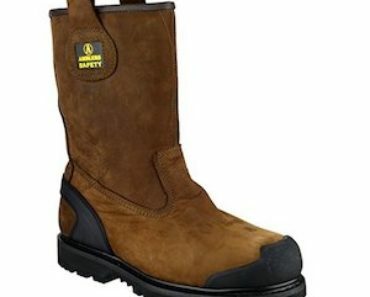 These safety boots designed by Grafters are made of a smooth leather material. The upper side has three eyelets for lace up fastening that gives the shoes a snug fit on the feet when being worn. It benefits of a smart appearance and its sole is made from PVC/Nitrile to offer an extra grip for steadiness as you walk around. In addition to this, the sole is also built as resistant to slips and heat. They are also extremely comfortable thanks to their air cushioned sole, if your job involves a lot of walking then they are definitely worth considering. As a downside – just like any other high quality leather, it tends to be quite rough at the beginning – so give it a bit of time before enjoying their full comfort. Overall, Denver men’s safety shoes can be doubled both as a work and corporate wear and it’s reasonably priced, making them one of the most popular choices in term of best safety shoe on Amazon.co.uk. Here we have a traditional brogue design shoe from Blackrock, another one that should be taken into consideration if you care about your appearance. 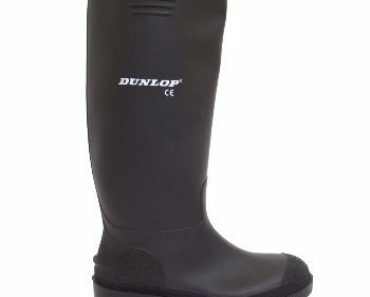 With their slip resistant feature, they are flexible in terms of working environments, being suitable for wet, greasy places. They are made of a high quality black leather and in terms of safety – rest assured: with their steel midsole and steel toe cap you’re well covered. Built with a shock absorbing rubber sole, they are lightweight and highly comfortable and a good value for money choice in terms of best steel toe cap safety shoes.